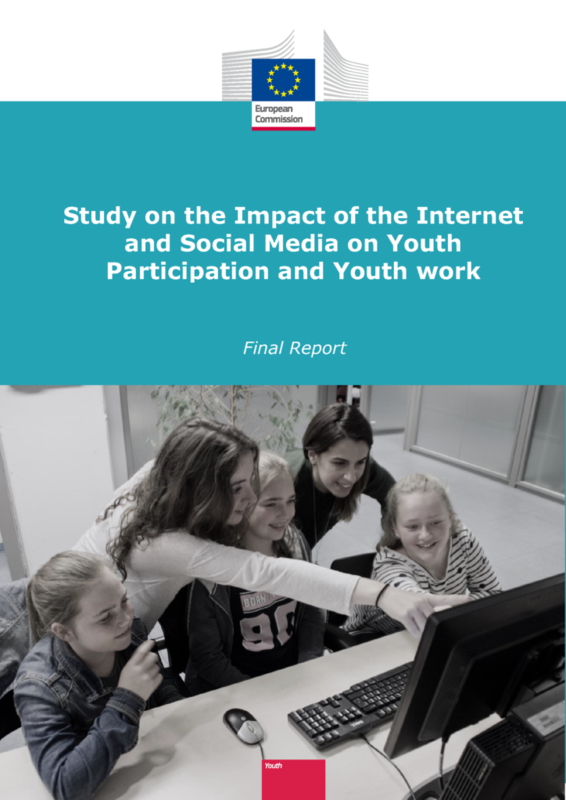 The Directorate-General for Education, Youth, Sport and Culture of the European Commission has just released the Study on the impact of the internet and social media on youth participation and youth work , that was coauthored by Francisco LupiÃ¡Ã±ez-Villanueva, Alexandra Theben, Federica Porcu and myself. LupiÃ¡Ã±ez-Villanueva, F., Theben, A., Porcu, F. & PeÃ±a-LÃ³pez, I. (2018). Study on the impact of the internet and social media on youth participation and youth work. Brussels: European Commission. LupiÃ¡Ã±ez-Villanueva, F., Theben, A., Porcu, F. & PeÃ±a-LÃ³pez, I. (2018). Study on the impact of the internet and social media on youth participation and youth work. Executive report. Brussels: European Commission. LupiÃ¡Ã±ez-Villanueva, F., Theben, A., Porcu, F. & PeÃ±a-LÃ³pez, I. (2018). Study on the impact of the internet and social media on youth participation and youth work. Annex 1, Inventory of good practice. Brussels: European Commission. LupiÃ¡Ã±ez-Villanueva, F., Theben, A., Porcu, F. & PeÃ±a-LÃ³pez, I. (2018). Study on the impact of the internet and social media on youth participation and youth work. Annex 2, Case studies. Brussels: European Commission. Peña-López, I. (2018) “Report. Study on the impact of the internet and social media on youth participation and youth work” In ICTlogy, #176, May 2018. Barcelona: ICTlogy. Acevedo, M., Moreno Romero, A. & Mataix, C. (2015). â€œICT4D as the driver of Network Cooperation actors, connections and collaboration in the post-2015 international development landscapeâ€. In Steyn, J. & Van Belle, J. (Eds. ), Beyond development. Time for a new ICT4D paradigm?, 18-39. Proceedings of the 9th IDIA conference, IDIA2015, Nungwi, Zanzibar. Nungwi: IDIA. Espelt, R., PeÃ±a-LÃ³pez, I. & RodrÃ­guez, E. (2016). â€œActivismo desde el consumo cooperativo de productos agroalimentarios: Â¿EconomÃ­a alternativa o tecnopolÃ­tica?â€. In Balcells et al. (Coords. ), Building a European digital space, 560-581. Proceedings of the 12th International Conference on Internet, Law & Politics. Universitat Oberta de Catalunya, Barcelona, 7-8 July, 2016. Barcelona: UOC-Huygens Editorial. My colleague Mirela Fiori is redesigning the Master in City and Urbanism which she is directing. In the updated version that she is planning she wants to include a subject on how technology and civic action have a role in the shaping of the city. In my opinion this is a most important acknowledgement. Adolfo Estalella and Alberto CorsÃ­n have systematically proved how the city can be used both “hardware”, much in the line of Gidden’s Structuration Theory where the “system” is both an instrument and a target for change. Manuel Castells also speaks about cities and their (different) role in the Network Society, a role that oftentimes is emergent in the sense of Steve Johnson. In newest “open source” cities, action turns into activism and activism cannot be without action. Thus, it does look very relevant to me that there is a little time or space to think about the city not as a mere receptacle of people doing things, but as an actor that is both affected and affecting the uptake of technology and its use for citizen action and, thus, being part of the (new) definition of citizenship. The goal of the master’s new subject Technopolitics, networks and citizenship is to provide this vision of the city as an institution, a player that requires a renewed strategy and a renewed vision on its role in a complex ecosystem. 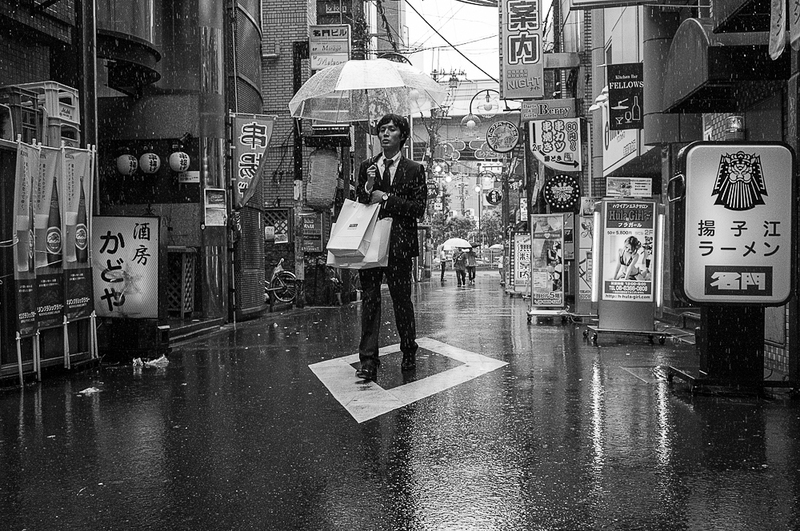 How dire are the changes we are witnessing in the global economy? How are connected the new trends in the business and financial spheres with the democratic and governance spheres? Are Information and Communication Technologies instruments for improvement or for transformation? Is this a revolution? Why are some things happening? Why would they last — if they do? Is there a crisis in industrial age institutions (schools & universities, political parties and parliaments, firms and work, media and journalism, etc.)? What is their role in society? Is their role still needed? Can we separate the continent (institutions) from their content (role, tasks)? If yes, who will take up with these roles? How? Why? Why not? Is there a new way to design collective initiatives? Is decision-making over as we knew it? Are hierarchies a thing of the past? Is information still power? Can we shift power balances? How different is information from knowledge? How different is controlling information from controlling knowledge? How will the control of knowledge transform our daily practices? And our institutions? What used to be innovation? What is innovation today? What is the relationship between innovation, knowledge and power? Can innovation be distributed? Can innovation be socialized? Can power be socialized? Can innovation lead to better governance? Can better governance lead to innovation? Should we act in either or another way to affect the final result? Can we? How is technology (ICTs) changing human behaviour? How is technology (ICTs) changing human collective behaviour? What are the main trends? How will they evolve? Why? What new organizations will come enabled (and fostered) by technology? How will this change the map of actors and institutions in society? How will they interact? How will this change the city landscape? Yes, these are questions and not answers. Because there are not many answers — yet. And the ones being are constantly changing and evolving. But the questions will remain for much longer. These are days for good questions and for flexible answers. Dogmatic answers for feeble questions will rarely help us to map the new territories that need being explored. Peña-López, I. (2016) “Technopolitics, networks and citizenship: a syllabus” In ICTlogy, #155, August 2016. Barcelona: ICTlogy. My colleague Ricard Espelt is these days at the XXVI European Society for Rural Sociology Congress, in Aberdeen, Scotland. The motto of this year’s edition of the congress is Places of possibility? Rural societies in a neoliberal world and this is just what Ricard is presenting on behalf of a small team he put up to analyse and map agro-food consumption groups in the city of Barcelona. The communication he just presented, Mapping agro-food consumption groups in the city of Barcelona , is but a part of a major research project that Ricard is doing and that I have the luck to be a part of. Following can be found the abstract, slides and downloads of our communication, signed together by Ricard Espelt, Pere Losantos, Enrique RodrÃ­guez, Toni MartÃ­n, Francesc Pons and myself. Mind that it is only a short paper and, thus, only a small part of the information produced is available. Comments (and/or requests) will definitely be welcome. â€œConsumption groupsâ€ (or â€œconsumption cooperativesâ€) is one of the types of short circuits of food consumption. They are organized to create an alternative to the dominant model, the agro-food big chain. Breaking the barriers between consumers and producers, this model of organization strengthens the possibility of stimulating social and economic local development. In this article, we show how consumption groups take advantage of the traditional cooperative move-ment rooted in the XIXth century, and Information and Communication Technologies (ICT) in the context of Barcelona. We analyse how the Social and Solidary Economy (SSE) measurement indicators are achieved by agro-food consumption groups, the nature of the networks made up by consumers and producers and the rele-vance of ICTs to maintain the business activity. Using geolocalized data and social network analysis we highlight the significance of local economical connec-tions among the actors involved. Even though consumption groups stimulate local business and correlate with SSE indicators, they are not represented in the design of public policies. This article wants to draw a different point of view in the promotion of alternative food futures as emerging social and economic actors, and the public policies to promote them. Peña-López, I. (2015) “Communication. Mapping agro-food consumption groups in the city of Barcelona” In ICTlogy, #143, August 2015. Barcelona: ICTlogy. 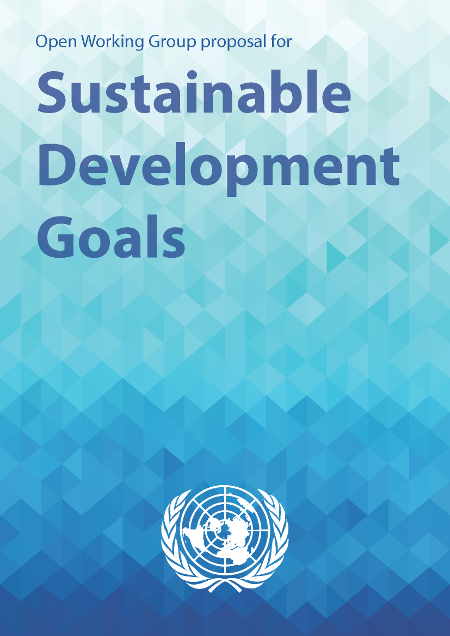 Tim Unwin has written a terrific critical article on the Sustainable Development Goals (PDF) entitled ICTs and the failure of the Sustainable Development Goals . As can be inferred from its title, the main criticism — which I fully share — is about the almost total oblivion in what relates to Information and Communication Technologies (ICTs), and some other issues concerning the design itself of the Sustainable Development Goals (SDGs), how poverty is defined (and how development and the Economy are defined too), how the United Nations System works. I want to borrow Tim Unwin’s title to go a little bit further on his analysis. In my opinion, the problem is not (only) a total disdain for ICTs and all their potential in enabling, articulating, fostering or multiplying any other initiative against poverty or for sustainable development. The problem, I believe, is that this disdain for ICTs is just a symptom of the real, direst problem: a total disdain for emancipation. Goal 16. Promote peaceful and inclusive societies for sustainable development, provide access to justice for all and build effective, accountable and inclusive institutions at all levels. When one drills down to the 12 targets and sub-goals, some of them are clearly what one would expect to see under the general goal. Some of them are mixed. And some others make one rethink about the previous ones. Indeed, an accurate reading of Goal 16 and its 12 targets and sub-goals raises a shadow of suspicion: is it about people that Goal 16 is talking about, or is it talking about maintaining things in order so that everything (the economy, trade) runs smoothly? Sub-goal 16.a reads Strengthen relevant national institutions […] to prevent violence and combat terrorism and crime . That is, strengthening institutions is not a matter of peace, equality, progress… but to combat terrorism, which is what richest countries care about: their own safetey. Sub-goal 16.b reads Promote and enforce non-discriminatory laws and policies for sustainable development . That is, the problem with discrimination is… development. Sustainable development. It is true: it is known that inequality damages economic growth. But one would expect that the direct goal would be inequality itself, and that the indirect one would be growth. Not the other way round. After that, as it was said before, one becomes suspicious about some well phrased goals that, under a new paranoid light, can be read with different meanings. Such as target 16.3, which speaks of the rule of law: is it really to achieve justice for all, or is the rule of law good in itself at the national and international levels (which is were trade happens)? The Sustainable Development Goals are especially about economic development, and not about individual and social development. The Sustainable Development Goals are especially about institutional development, and not about personal emancipation. Freedom, civil rights, citizen rights, political freedoms, freedom rights… many names for the very same concept. Freedom — or free — is mostly missing in the SDGs. It is only explicitly referred in target 16.10, and mixed up with public access to information… in accordance with national legislation . Well, according to Freedom House’s Freedom in the World 2015, 54% of the countries surveyed were partly free or not free… in accordance with their respective national legislations. Freedom is simply not a seriously taken issue in the SDGs. Empowerment is a step beyond freedom. If freedom is about the lack of constraints to think or do one’s own will, empowerment is about strengthening the capability to think or do that will of one’s own. Not only can you do whatever you want within the system, but you will be helped to. Again, empowerment, or capabilities, are widely mentioned in the formalities of the declaration, but are limited to gender and inequalities. This is quite a bit, for sure, but it is not enough. There is no way that development can be sustainable if it is not endogenous, and there is no way for endogenous development without empowerment. In my opinion, empowerment is paramount to development. Only one step below governance. Governance, democracy, political participation, deliberation, co-decision. If freedom is do one’s own will, and empowerment is doing it with multiplied strength, governance is way above that: it is not thought and action within the system, but over the system. Governance is shaping the system to one’s needs (or the collective needs, more appropriately), instead of shaping one-self to the system. This is why it is so important… and so surprisingly missing from the SDGs. Yes, decision-making is in there, but always as a way to have a certain influence on institutions. But no words on changing institutions, on transforming them, substituting them by other ones, or even getting rid of them. And, as I see it, increased freedom, empowerment and governance are the biggest potential outcomes of ICTs for development. When Tim Unwin says he misses ICTs in the Sustainable Development Goals, not only I agree, but wonder whether the SDGs are also missing what I believe are the main reasons to apply ICTs for sustainable development, for instance: ICTs applied to Health increase one’s own degree of freedom; ICTs applied to Education improve one’s capabilities and empowerment to achieve higher goals; ICTs applied to Politics can lead to better governance. I, for one, believe that people behind the writing and wording of the Sustainable Development Goals are neither stupid, nor ignorant. A thorough reading of the SDGs is inspiring and every statement is perfectly grounded on evidence. It’s the approach. It’s industrial. It belongs, in my opinion, to the Industrial Age. It does not, I think, take into account the digital revolution and, more important, the many social revolutions that we have witnessed in recent years. And no, I am not (only) talking about the Arab Spring, or the 15M Spanish Indignados Movement. It’s about the revisiting of the commons and the digital commons; about free software and open educational resources and free hardware and open science and free knowledge; about e-government and open data and open government; about liquid democracy and hybrid democracy and e-participation; about personal learning environments and cMOOCs and communities of learning and communities of practice; about innovation hubs and co-working spaces and open innovation and social innovation and open social innovation; and peer-to-peer whatever and dis-intermediation wherever. Almost nothing about this is in the Sustainable Development Goals, which are to last current until 2030. We are not only ignoring the last 15 years of development, but making them last 15 years more. All in all, the Sustainable Development Goals do not seem to belong to the Information Age. Peña-López, I. (2015) “Emancipation and the failure of the Sustainable Development Goals” In ICTlogy, #143, August 2015. Barcelona: ICTlogy.